Few cities boast an artistic pedigree quite as pure as Madrid’s: many art lovers return here again and again. For centuries, Spanish royals showered praise and riches upon the finest artists of the day, from home-grown talents such as Goya and Velázquez to Flemish and Italian greats. Masterpieces by these and other Spanish painters such as Picasso, Dalí and Miró now adorn the walls of the city’s world-class musuems. Three in particular are in a league of their own – the Museo del Prado, Centro de Arte Reina Sofía and Museo Thyssen-Bornemisza – but in Madrid these are merely good places to start. Madrid has evolved into one of the richest culinary capitals of Europe. The city has wholeheartedly embraced all the creativity and innovation of Spain’s gastronomic revolution. But this acceptance of the new is wedded to a passion for the enduring traditions of Spanish cooking, for the conviviality of the eating experience and for showcasing the infinite variety of foods from every region in Spain. Naturally, no stay in Madrid is complete without a visit to Toledo, less than 30 minutes by train from the Spanish capital, or Segovia, famed for its celebrated Roman acqueduct and architecture, and less than 90 minutes away from Madrid by car. Discover a City of Architecture and Art: Depending on your level of interest, Spanish Links Tours can arrange both half-day and full-day tours of Madrid. With our expert licensed guides, we can arrange both walking and driving tours of the city, including such highlights as the Plaza de Santa Ana, Plaza de Oriente, Plaza Mayor, and the Mercado de San Miguel market. 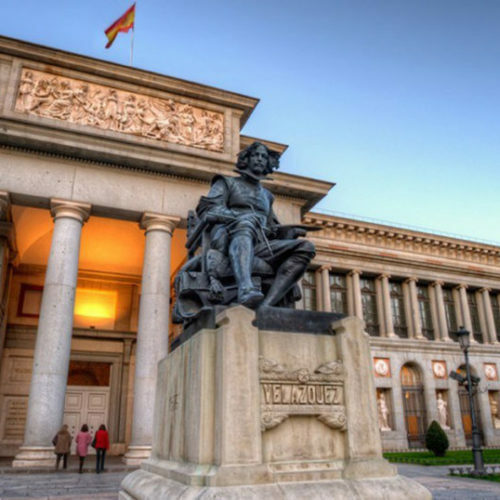 Top off the day with a visit (that includes skip-the-line admissions) to the Museo del Prado, displaying of the world’s greatest collections of European art, from the 12th century to the early 19th century, created by the Spanish Crown. Masterpieces on view include works by Botticelli, Caravaggio, El Greco, Goya and Velasquez. Madrid for Art Lovers: If you have a chance to spend several days in Madrid, our specialist guides will be available to show you around the Thyssen-Bornemisza Museum, among the world’s largest private collection of Old Master & Modern paintings. Another must-see is the Museo Lazaro Galdiano, one of the little-known museums of Madrid, whose magnificent architecture and choice art collection that includes Goya, Leonardo da Vinci and Bosch. Our expert guides can also show you the “MOMA” of Madrid, the Museo Nacional Centro de Arte Reina Sofia, which gives pride of place to Picasso’s Guernica, as well as works by other 20th century Spanish masters such as Juan Miro, Salvador Dali, and Juan Gris. 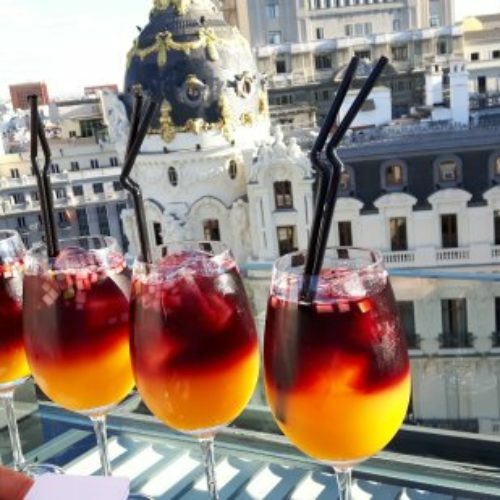 Learn How to Make Authentic Paella and Sangria: Spanish Links Tours now makes it possible for you to learn how to prepare some of Spain’s best known foods and drink. You will get to go behind the scenes in a restaurant kitchen, learn from a professional chef with years of cooking experience and cooking tips. Best of all, you get an individual set of recipes and a box of saffron so you can repeat the experience at home. Gourmet Tapas and Wine Tastings: Our gourmet tapas tours take you on a delightful cultural and culinary journey through Madrid, sampling regional specialties and excellent wines that add up to an entertaining evening. By the time you are done, you will be an expert! 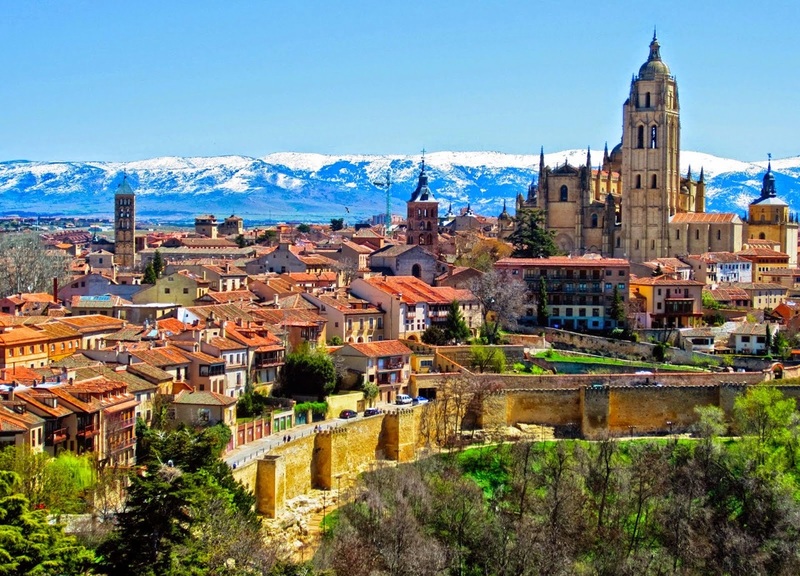 A Daytrip to Ancient Segovia: Less than an hour away by car from Madrid, you will discover this unique Unesco World Heritage site that exemplifies the rich and complex history of Spain. 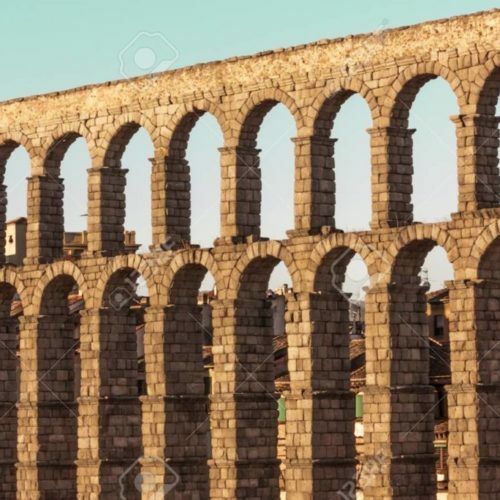 You will discover the ancient but intact Roman aqueduct, recalling the power and reach of the Roman empire, then also discover Segovia’s celebrated cathedral and the Alcazar fortress, both of which evoke a magnificent past. Following lunch at an authentic local restaurant, you will visit the Royal Palace of La Granja de San Ildefenso, which once belonged to Spain’s royal family. Styled after the gardens and fountains of Versailles, you will be astonished by its lavish beauty, including rooms decorated with Carrara marble, Japanese lacquer and crystal chandeliers.